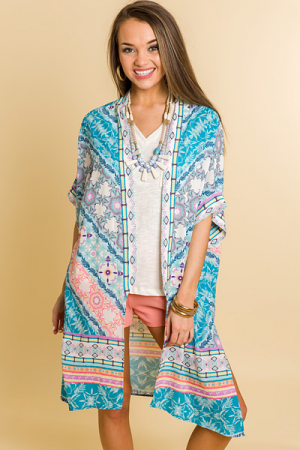 Say hello to the cutest kimono ever! 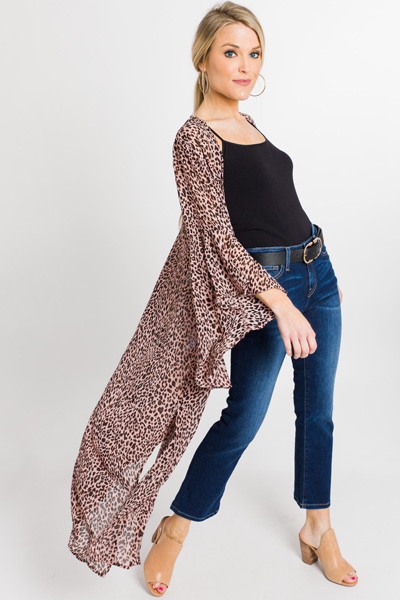 This piece features a trendy leopard print and bold sleeves made from a chiffon fabric, so it's breezy and lightweight. 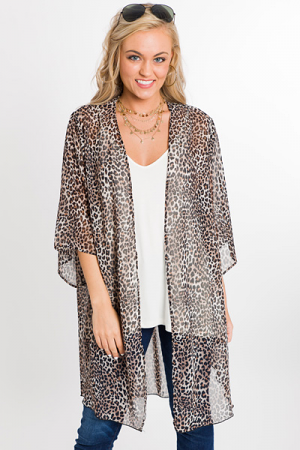 Wear it as the finishing layer to your outfit, or as a chic swimsuit cover.